This minor league baseball team has a dog that retrieves the bat after someone hits. 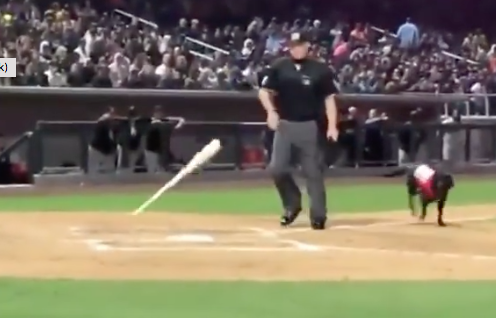 This night, the umpire took the bat away and threw it to the dugout. The fans got angry.